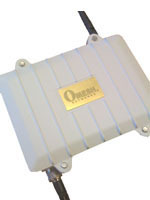 Radios with complete network stack to provide the easiest wireless in your systems. OPM15 is now in mass production, and has been deployed in a number of applications, including real-time location networks, emergency networks, and wireless sensor networks. The radio is based on IEEE 802.15.4 standard to realize OPM (Opportunistic Wireless Mesh) dynamic networking with multi-frequency. 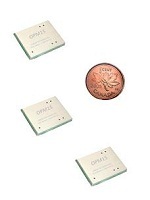 The product is specially designed for low-cost low-power wireless communication and location tracking networks which does not require very high application bandwidth (>100kbps). The supported bandwidth of OPM15 however can still be 10X higher than traditional 802.15.4 radios in 2.4GHz unlicensed band. OPM11 is currently under release, and accepting preorders especially for wireless broadband access infrastructure. The radio is based on IEEE 802.11 standard to realize OPM (Opportunistic Wireless Mesh) dynamic networking with multi-frequency. The product is specially designed for broadband wireless networks requiring up to 20Mbps application bandwidth, in 2.4GHz and 5.8GHz unlicensed bands. It also supports station mobility of up to 640km/h.